Milagros strolls down the hallway of the Chemical and Industrial Engineering building, pointing out her old classrooms and a plaque on the wall that holds her name, engraved as a marker of her recent graduation. Just a few years ago Milagros refused to get up in front of her class. Her embarrassment about her cleft lip and palate was a burden for her and caused her self confidence to dip everyday. She had things to say, but because of her speech problem that stemmed from her cleft, she could not communicate with others. When she needed to say something to the class, Milagros would have a friend explain on her behalf. It was exhausting and frustrating. But, after Milagros went through a year of the FACES Telemedical Speech Therapy Program, she was able to speak, clearly, concisely and with confidence. She gained the self-confidence to speak publicly, and with the support of her family and friends, went on to graduate from college with a degree in Chemical Engineering. After graduation in December 2011, Milagros moved to Trujillo for three months, a town south of Lambayeque (her hometown), for a Chemical Engineering internship. 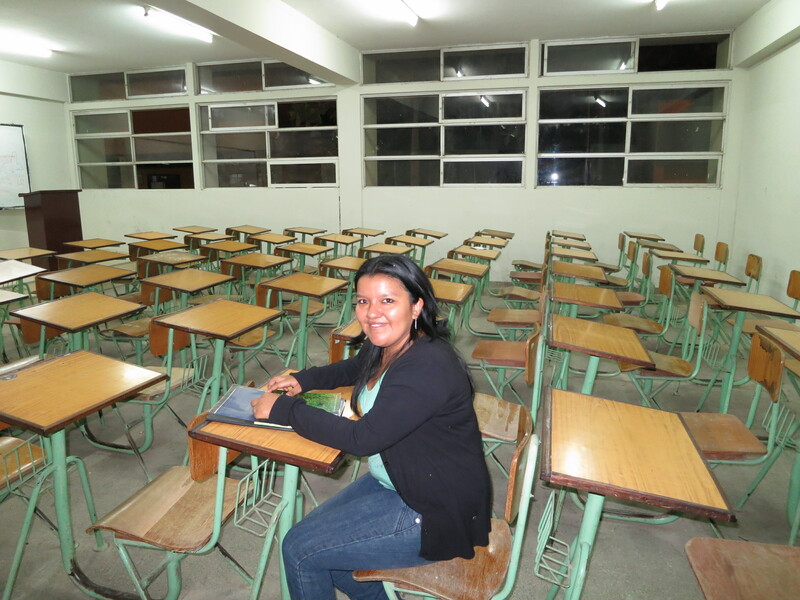 Milagros recently returned to Lambayeque where she is looking for a job in the alcohol of coffee production industry. During FACES’ recent visit to Lambayeque, Milagros was awaiting another major milestone: she was preparing to defend her thesis in front of the entire Chemical and Industrial Engineering faculty at Universidad de Lambayeque. Milagros’ thesis is about the chemical distillation, processing and fermentation of alcohol. “Sometimes there are obstacles in life, but in my opinion, we can always overcome them,” Milagros said with a wide smile, as she gazed up and down the wide hallways of her college. Because of her determination and perseverance, her family support and her participation in the FACES program, the whole world has opened to Milagros. FACES wishes Milagros the best of luck with her upcoming thesis defense.